I woke up that Friday and had an extra spring in my step, which usually isn’t there at 8 am. 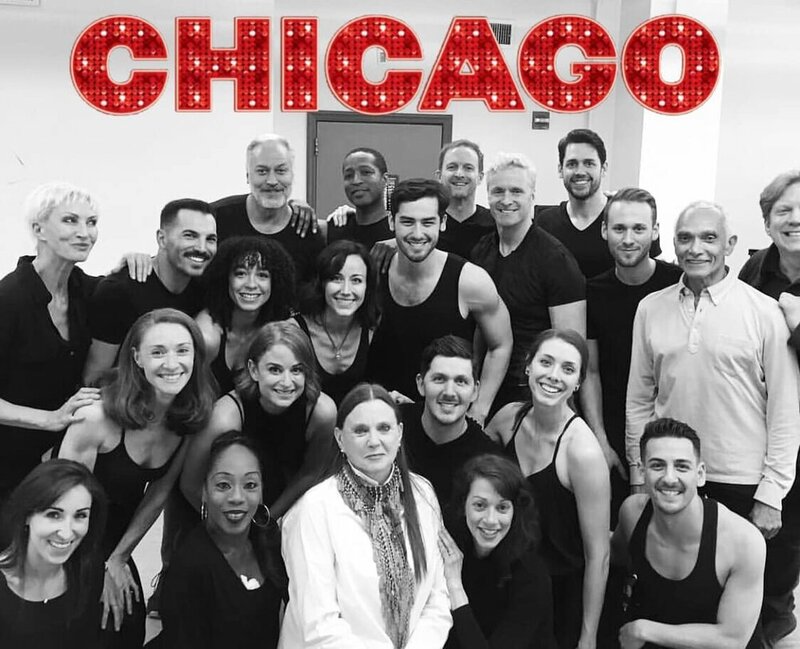 The reason being is that I had a company rehearsal with the cast of Chicago that was being run by none other than the legend, the choreographer of this revival, Ann Reinking, and her right-hand man, Gary Chryst. I knew it was going to be an incredible day. I have been a part of the Chicago family for a few years now. I started my journey with this magical show in 2011. From then until now, I’ve performed the show with Royal Caribbean and five national tours, the first of which got me my Equity card, and I made my Broadway debut with the show in the summer of 2015. Chicago has truly been the gift that keeps on giving. My roles have changed over the years; I was a swing for two years, moved into the role of Aaron for three tours and took on the role of dance captain for one of those years. A task that was both challenging and rewarding. I’m currently performing in the show as a vacation swing. About two weeks ago, I got an email asking if I was available to come in cover the roles of Bailiff/Clerk and Aaron for two weeks. I was quick to respond and happy for the opportunity to be dancing this unique work once again. As the cast trickled in last Friday, we sipped our coffee, gave our morning hugs and warmed up, getting ourselves prepared to soak in the afternoon. When Ann walked in, you could feel a shift of energy in the room. We were in the presence of a true legend. She started our rehearsal by working through “Razzle Dazzle.” We walked through a couple sections of the number and stopped to clarify the intention of what we were doing. She’s very passionate about intention, that it’s not just steps, but what specifically are we saying in the storytelling of her choreography. There’s a moment in the number where the ensemble is in a tight clump being controlled and manipulated by Billy Flynn, “the silver tongued prince of the courtroom.” We all shoot our hands up at once like there’s a gun being pressed into our backs, punctuated with an audible gasp, that’s then followed by a pause and laughter, as if to say, “oh, he’s just kidding,” and we enjoy the manipulation. That was probably one of my favorite parts of the afternoon, listening to the imagery that gave intention to the movement. There are several moments in the show that she wants us to have a kind of smirk on our faces. Portraying to the audience that we have a secret, that we’re in on the joke, that we know what’s about to happen and just you wait for it! She said it’s like the cat that you ask if he ate the canary and he says no, but there’s a little yellow feather sticking out of the corner of his mouth. Pretty cheeky, right? The afternoon continued with little anecdotes about Bob Fosse and other glittering imagery to keep us focused on the intention behind this brilliant choreography. There’s something so beautiful about dancing in the Fosse style, not so much a style, but a philosophy. 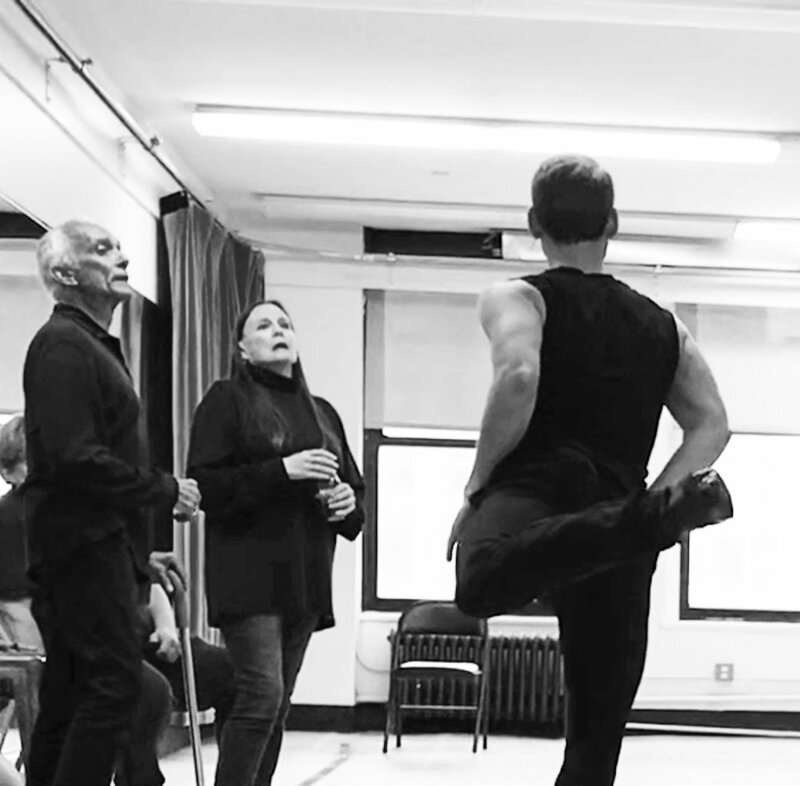 The work is never done, you can always dig deeper into the pool of Fosse. This afternoon was yet another plunge into that pool. Getting to work firsthand with Ann was nothing less than humbling, yet empowering and truly inspirational.